While growing up in Queens, my house was burglarized. I will never forget that day. I walked into the door with my grandmother and we found a man in her bedroom stealing all of our jewelry. Family heirlooms, loved possessions, even the little pieces that didn’t really sparkle. That man took it all. We saw him jet past us and leap through our back window and climb down the fire escape faster than anything we had ever seen before. It was all so shocking. I still remember those few seconds – I can actually relive them quite vividly. Thank goodness he didn’t try to stay for a bit longer. Thank goodness he didn’t feel like were interrupting him. He just left and we were unharmed. That’s something I’ve heard over and over again for my entire life. And I believe it with all my being. But if I am being honest with you, that simple moment has left me completely shaken. I am someone that has to lock and recheck locks. I’m someone that has to turn on the security system as soon as we all walk into the house. I’m someone that locks my husband out of the car when he pumps gas. Yes, I actually do that. He forgives me. I’m protecting the babies after all! 😉 It’s just part of my DNA. Be extra cautious. Always look behind you. Fool me once …. shame on you. Fool me twice… well, you know the saying. Technology today has made some major advancements when it comes to at-home security – and I am so thankful for it!! 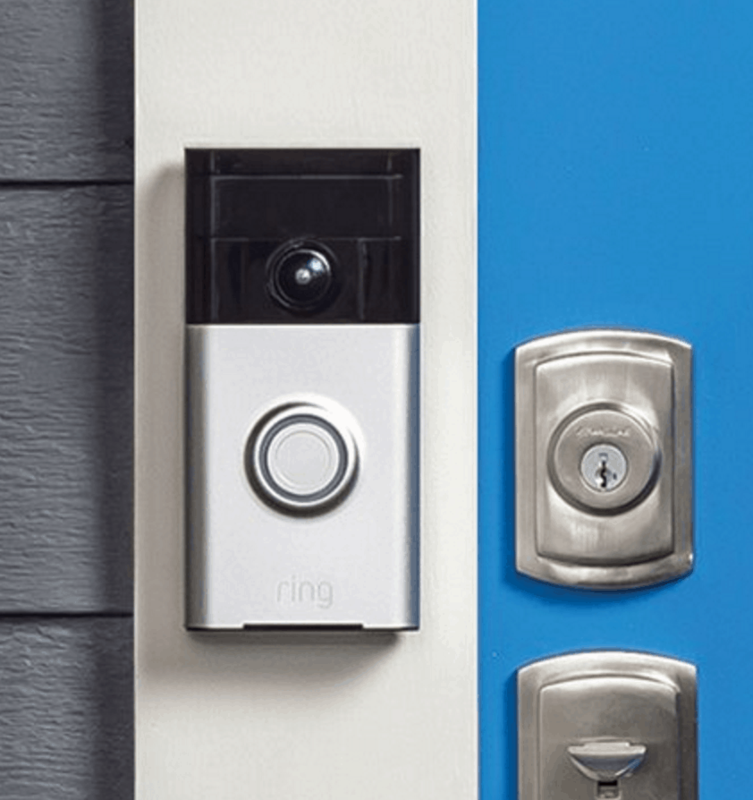 Have you heard of the Ring Video Doorbell? It’s a DIY home security solution that is a dual powered, WiFi enabled, HD video doorbell. You can stream live audio and video of your home’s front doorstep directly to a smartphone or tablet. Think about what this means! You can see and speak to visitors from anywhere in the world through their app (works on iOS, Android or Windows 10 desktop). Are you in the basement doing laundry or playing with the kids and you want to check out who is ringing the bell? Is it late at night and someone is knocking? Or are you 5,000 miles away on vacation and you don’t want people to know that you are away? 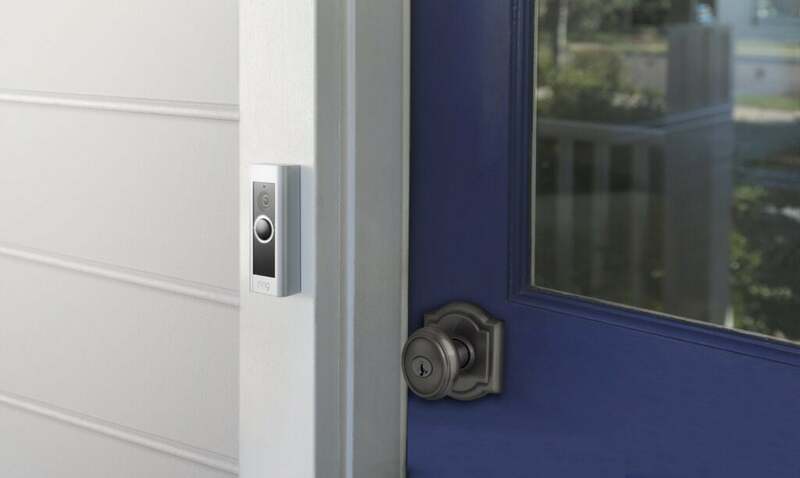 No matter where you are – as long as you can connect to the Internet, you can work through the Ring Video Doorbell and speak to your visitors!! I also love the fact that there are motion sensors that – when triggered – offer instant mobile alerts. If there is movement on your property – you will know about it! The device covers a 180-degree field of view and up to 30 feet in range using a 720p HD wide-angle lens. You decide where the motion detection zones are! So, if you are really concerned about your back lawn, then set up notifications only for that area. It’s all up to you!! You can secure additional areas of your home with the Ring Stick Up Cam (retails for $199). It’s a self-install wire free, outdoor security camera with two-way audio motion detection, cloud HD video recording and night vision. When used with Ring Video Doorbell, Stick Up Cam provides a full ring of security around your home. It’s common for burglars to knock or ring the doorbell to make sure nobody’s home before breaking in. But with Ring’s security products, homeowners can give potential intruders the impression that they are home, even when they’re not. Think about that. Ring offers free cloud storage of your footage for 30 days. This means that you will have stored data about who is visiting your house should anything actually occur. If you do get robbed, you can assist in finding those that broke into your property! Ring Video Doorbell footage has helped police identify and arrest burglars across the country, including in California, Georgia, Missouri, North Carolina, Texas, Utah and Washington. So powerful! The Ring Video Doorbell is available at www.ring.com for $199. Previous Post: « How Do We Get Out From Under This? I really want to get this! I have been wanting it for a long time! I love this whole concept! 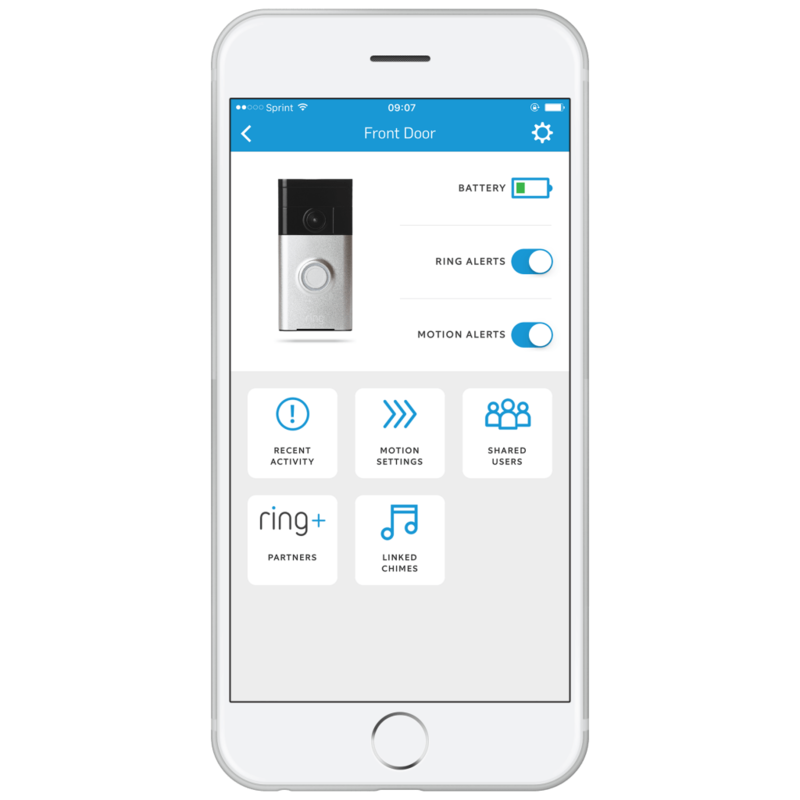 Ringn sounds like a great product. I love the built in motion sensing technology. That makes me so worried – the world is getting so upsetting. To have a security system like this is a good idea. In this day in age its good have a security system that you can use to monitor the house when you are away. Also, it good to have when you have teens who are at the house and you have to watch and monitor. 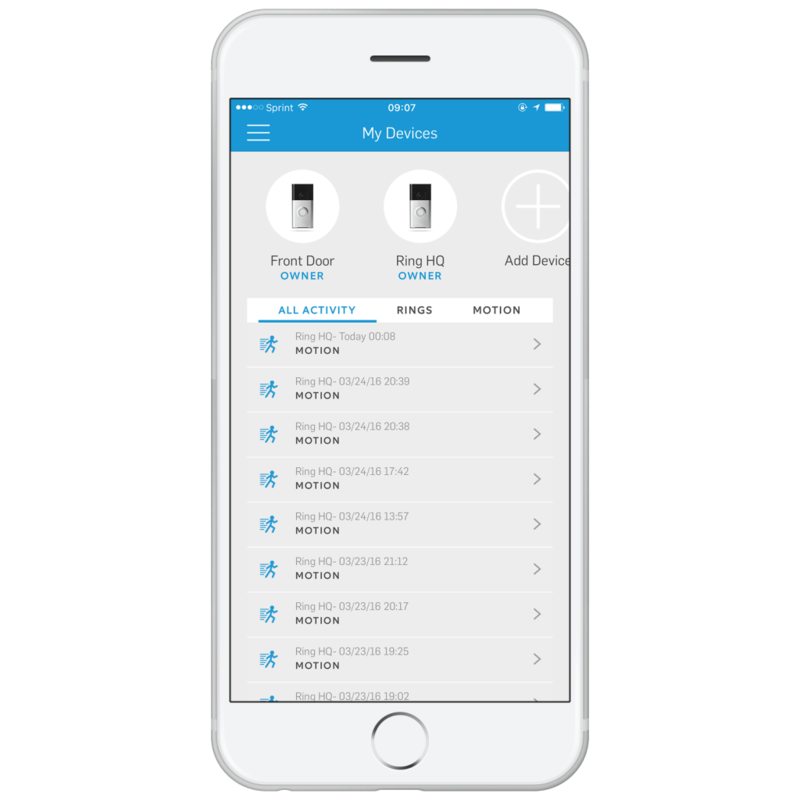 This looks like such a great thing for the home, and I love that it can sync with your phone so you can monitor your home from anywhere! I’m definitely going to look into this when I move into a home. Thank you for sharing this! I have been reading so much about these home security systems. i really would like to get one for my apartment. I would love to have this to make my home even more secure. I am so paranoid about my home whenever I leave and even when I am home I guess. I just feel like the world is under attck lately and it is nice to have added security. This would be great! That is such an awesome security feature! There have been several occasions where I was in the basement and the door bell is ringing and by the time I get to the door there’s no one there. Having this security feature could be a great way to lure away potential robbers and I think it also would be a great thing to have to communicate with others while you’re not at home if you have a visitor. I saw a commercial for this not too long ago. I think this is a great concept that everyone needs at their home. I was a stay at home mom for 6 years so someone was almost ALWAYS home. I felt our house, pets, belongings, etc were safe. Now that I am working I’m a tad uneasy about it all because while our home isn’t “empty” for 8-10 hours a day, there is a 4 hr period in which no one is home. We live in the city and people randomly pick homes, or if you put a big box from something you bought in your trash bin outside that sets you up as a target as well. Now with out kids and people in and out of house and playing outside of our house all the time I’m sure these shady people have noticed the quietness. This would help ease my mind during my last few hours of work. I’ve been wanting to have something like this. The hubs and I were just talking about it after we saw this commercial. This is a must-have! The fact that you can control it from your phone and do what not is just awesome. I always worry about my home when I am away especially since I am away so often.